We have read on several occasions now that if Mel Gibson had ranted about blacks instead of Jews, Hollywood and the rest of America would have reacted more severely (see Wash Post). A recent article was really critical of the Hollywood Jewish community's tepid response. There is also much commentary about how sensitive Jews are about anyone talking about their power in Hollywood. Yet Jews built Hollywood in California because they werre not free to operate adequately back in the Northeast. Nothing wrong with that. They should be proud of that. But we guess Jews merit some degree of paranoia regarding others seeing them as powerful because there is a rich history of them then being targeted for various persecutions. 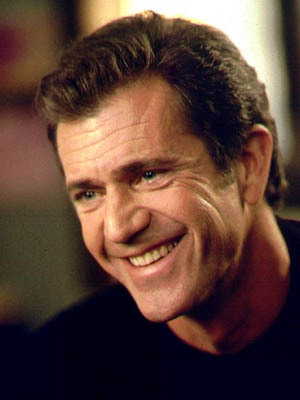 Of course the global Jewish community has much more to worry about right now than Mel Gibson's anti Semitic rants. We suspect Mel was not drunk but is up to something larger. He might be an alcoholic, but he is also one of the smartest men in Tinseltown. But it is easy to say that blacks would react more because blacks have virtually NO power in Hollywood. Our power unfortunately in many cases is the power of the WHINE. That is why we are accused of complaining too much. Well we are given too much to complain about (almost daily). So yes the reaction would be greater from the black community because we have no real power in Hollywood and we also have less to lose by hammering a powerful Hollywood figure. We are as practiced at victimhood as we are at entertainment. By the way, where is Danny Glover on Mel Gibson's actions? He sure does comment on everything else under the Sun.